There are always joys of buying new sound equipment...but it can sometime seem to be a painfull process to try and establish what is the best product to buy, what best fits your needs (not only now, but in the future) and what fits your budget. 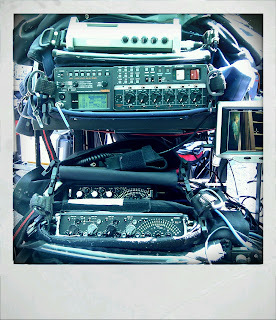 My location sound kit has always previously been built up around an "electric handbag", as still the vast majority of my location work is done as a single operator, recording / mixing / booming. The most important considerations have always been being able to use the equipment in a variety of scenarios - essentially ensuring that every item offered the best "bang for the buck". 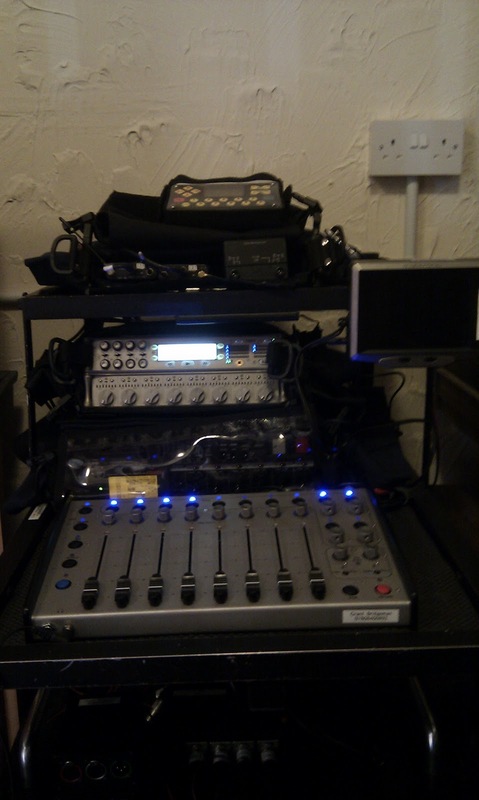 This has meant that moving over to a trolley for the increasing amount of drama work has been a bit of a compromise: chaining the Sound Devices 302 and 442 together to give 7 input channels, with 4 direct outputs (usually for the radio mics); this then feeds into the stereo mix of the Fostex PD6, tracks 1&2 usually split stereo (booms left / radios right) with the additional tracks taking the post fade iso tracks. Clearly (well, clearly to me anyway) the next logical progression would be to improve the mixing and routing capability whilst working on the sound trolley - but this would mean investing in a flat bed mixer that could "only" be used whilst working on the trolley. The down side here is that still most of my work is "over the shoulder", and so the mixer would potentially not earning its keep for most jobs. 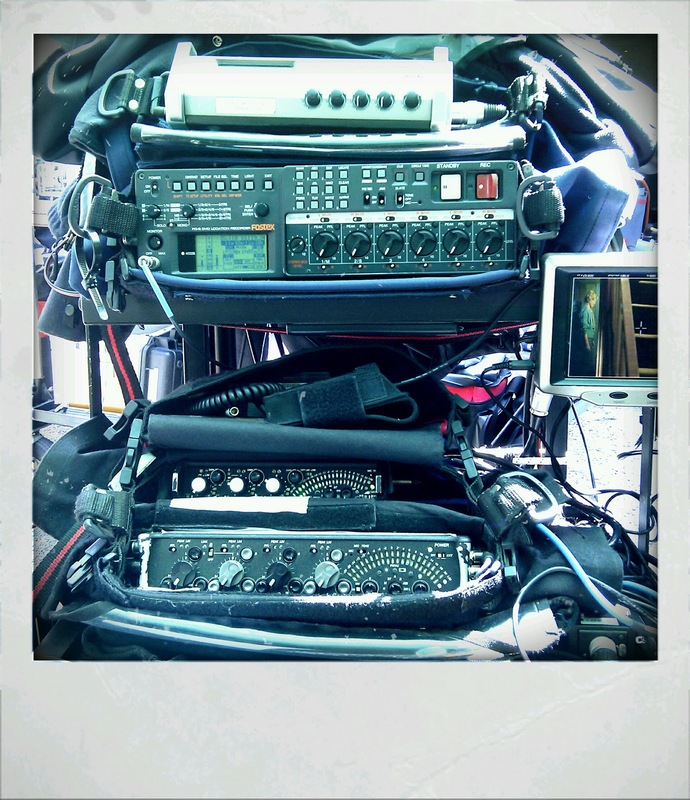 This meant looking into alternatives, and admitting that the PD6 is, (although a more than capable production recorder), a bit long in the tooth these days. 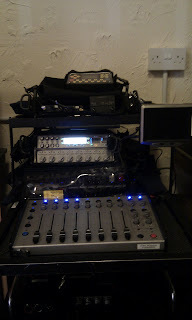 After a lot of pricing things up, and some lengthy conversations with the lovely Simon Bishop, it became clear that the way forward was not to get a dedicated flat bed mixer, but to update the recorder to one that would allow the use of a control surface - this gave two options the Sound Devices 788T with the CL9 / CL8 or the Zaxcom Nomad with the Mix 8. Essentially both the prices came in very similar, but in essence the decision was simple: I already own, and have regularly rented, Sound Devices kit and I rate it very highly - and a number of my colleagues own the 788T and rate its performance...so I bought the whole set up: The 788T, CL8 and CL9: and it is truely amazing. A 12 channel timecoded recorder with 8 inputs, multiple outputs, capability to write to the internal hard drive, CF card and multiple external drives simulatenously. The CL8 offers an "in the handbag" set of 8 rotary faders and additional controls. The CL9 offers 8 linear faders with quicker access to the recorders functions and giving multiple additional functionality such as an eq on each channel, more controlled pan functions and additional comms returns.